Debbie and Rod Simm were crowned the ‘Strictly Come Hospice Champions 2018’ on Friday the 16th of March at the Watersmeet Theatre in front of an audience of 500 and a panel of dance expert judges. They danced their way into the lead doing the Cha Cha Cha to the music of ‘Can’t Stop The Feeling’ by Justin Timberlake. Their polished performance was awarded top marks by the judges and the audience showed their support with clapping, whistling and cheering!! Such was the enthusiasm for this couples’ dance performance. At the end of the competition they were also crowned overall Strictly Come Hospice Champions 2018, to the thrill of the audience. funds for Peace Hospice Care. Peace Hospice Care needs £4m each year to continue supporting patients and their families and all their services are provided free of charge. They support more than 1,500 people every year and this is only possible thanks to the generous donors and fundraisers. Peace Hospice Care is dedicated to improving the quality of life for patients and families facing a life limiting illness by providing care and support in the setting of their choice across Hertfordshire by a highly skilled team of specialists. 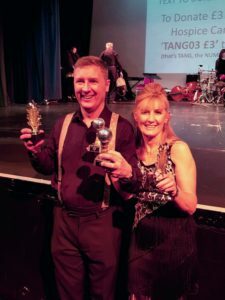 Winners of the Tango was also a Sarratt amateur dancer … Thomas Cheetham , who volunteered to partner his girlfriend who works at Peace Hospice Care. 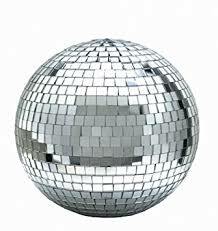 The whole evening was full of great performances from all the couples and everyone was delighted with the funds raised.